← Race, Protest and Politics: Where do we go from here? 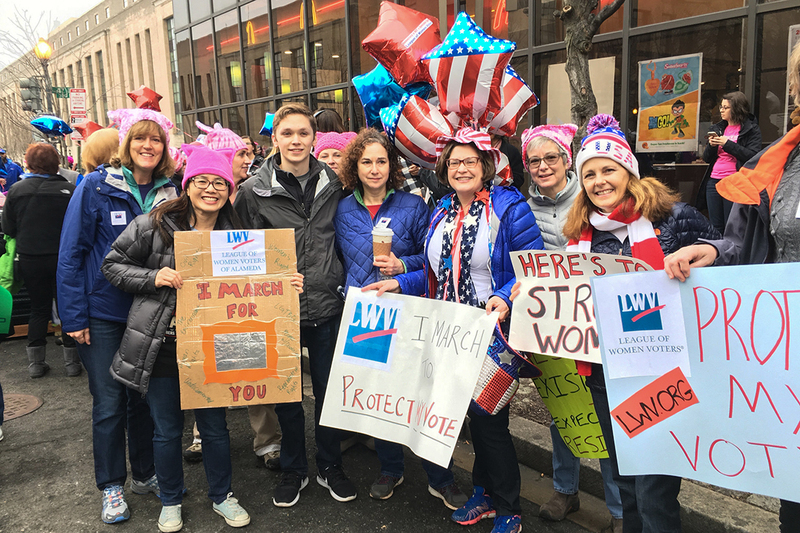 The League of Women Voters is experiencing a surge of new blood, new resources, and new energy. But it is the League’s “old” values that are attracting new members. Values like nonpartisanship and integrity, civility, and a refusal to be bullied. The organization was born nearly 100 years ago, founded by suffragettes unafraid to call out the elected officials who stood in the way of securing the right to vote for American women. With suffrage achieved, the group sought to educate new female voters and help them engage in the pressing issues of their time. For generations, League members have been nonpartisan stalwarts and champions of civic engagement. The ladies of the League were always polite but never pushovers. The League, which began to sponsor televised presidential debates in 1976, insisted on including third-party candidate John Anderson in the 1980 presidential debate, angering candidate Jimmy Carter, who declined to participate. In 1984, the League disclosed that the political parties had failed to approve 83 suggested moderators, embarrassing both parties. By the next election cycle, Democratic and Republican political operatives had formed their own debate commission, attempting to dictate the terms of engagement for candidates. The League refused to go along. “The League has no intention of becoming an accessory to the hoodwinking of the American public,” said League President Nancy M. Neuman. League values have not changed, but the way the organization expresses those values is moving with the times. 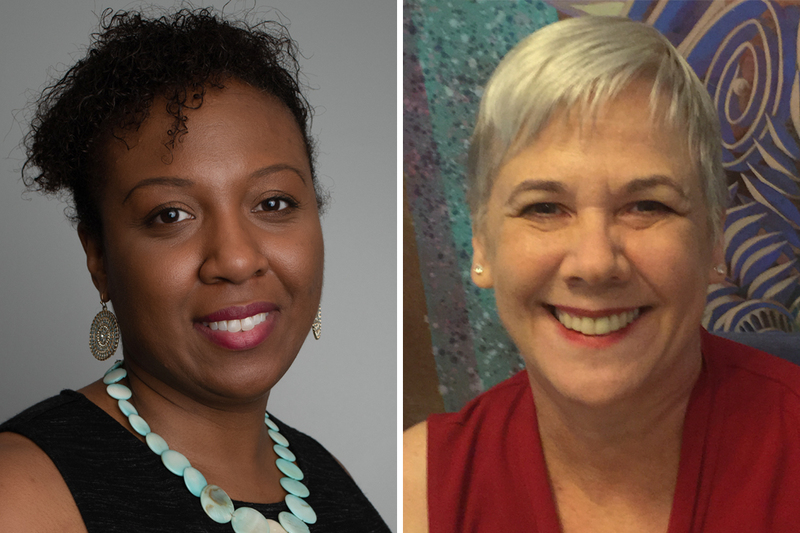 Over the past three years, the League, which had “unashamedly been the League of your grandmother,” has been on a “transformative journey,” said Celina Stewart, the group’s new director of advocacy and litigation. The League’s membership is up 20 percent. The group is drawing new members, whose diversity has spanned age, race, and sexual orientation, Stewart said. The League now has 400,000 members and supporters in more than 700 communities in every state. New Leagues “are popping up all over,” Stewart said, noting organization growth in Georgia, Florida, Michigan, and Ohio — all of which will be crucial battlegrounds in 2020. Along with more members, the League has seen a healthy increase in resources. Since 2016, its total net assets have jumped from just under $6 million to more than $10 million. The League’s existing donors gave more, and new donors joined their ranks. The League is also using social media to extend its reach. One increasingly popular online tool for voters is the League’s vote411.org. “All candidate information is up there” as well as information about local ballot questions, Stewart said. In 2018, more than five million citizens used the tool, including more than 800,000 voters on Election Day. Stewart is helping to shape the League’s future. Under 40 years old, although “just barely,” she jokes, she concedes she is “a little bit younger” than most League members. An African American attorney, she was chief operating officer and director of philanthropy for the nonpartisan nonprofit FairVote, and worked for 2018 Georgia gubernatorial candidate Stacey Abrams, when Abrams was minority leader of Georgia’s House of Representatives. Her League job, she said, was an ideal fit, because it was at “the intersection of my two passions” — practicing law and working for civil rights and social justice. The organization has embraced new issues — like the country’s obligation to address climate change. “It’s something outside our traditional box,” Stewart said. 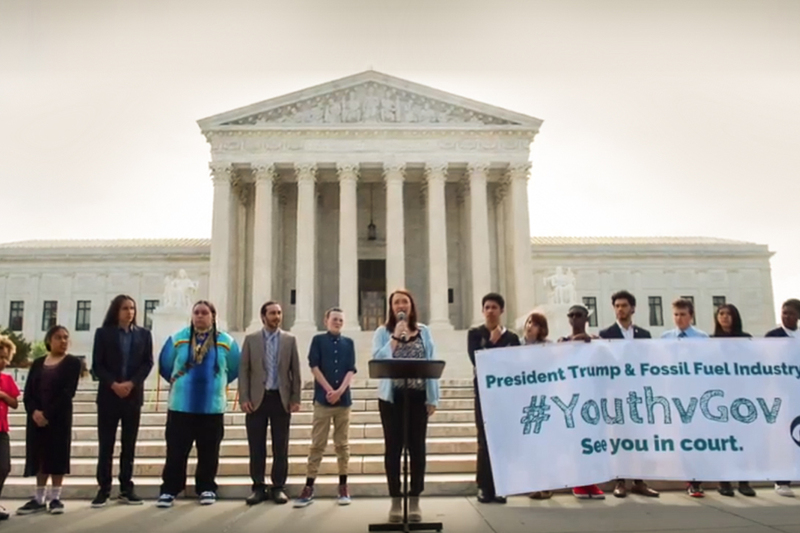 Working with its Oregon chapter, the League has submitted two “friend of the court” briefs supporting a climate-change lawsuit by 21 young people. The suit would require the government to submit to a court-ordered plan to reduce harmful carbon levels, and to move domestic energy away from reliance on fossil fuels. “Climate change is certainly important as an issue in and of itself, but I also think that this case is a really good reflection of the transition the League is making,” Stewart said. The League is using its power, and the power of its members, to amplify the message of young people, many of whom do not yet have the right to vote, “To leverage the power that they don’t have through the power we do have,” Stewart said. “Leverage” is a word Stewart often employs to discuss the willingness of the League to use every means in its advocacy toolbox to advance its agenda. Litigation is one of those tools, and the group’s increasing willingness to go to court is “reflective of the times,” Stewart said. Since the 2013 Supreme Court decision in Shelby County v. Holder, which no longer requires that states with a history of discrimination get federal permission before changing election laws and processes, voter suppression tactics have increased, Stewart said. In recent years, the League has partnered with democracy and civil rights groups, such as Common Cause and the Brennan Center for Justice, to pursue scores of lawsuits, most of them on voting and elections. The national League, along with its state affiliates in Alabama, Georgia, and Kansas, in 2016 sued the head of the federal Election Assistance Commission (EAC) over new restrictive state voter registration laws. The League charged that the EAC’s executive director had to consult with his board before approving the new laws. In Georgia, the League was a major participant in a coalition of nonprofits that sued the state over its “exact match” law that jeopardized the voter registrations of as many as 53,000 voters. In North Carolina, Wisconsin, Michigan, and Ohio, the League has gone to court to oppose partisan gerrymandering, which dilutes the power of some voters, particularly minority voters. In New Hampshire, the League sued to block a new law that required more documentation for voter registration. The League argued that the new proofs of residency called for would have placed an unreasonable burden on students, the elderly, and the homeless. “We sued to get early voting on college and university campuses; we were successful and all of the major universities in the state provided those early voting sites, as well as a couple of community colleges,” Brigham said. When Republican Governor Rick Scott, in an extremely tight race for US Senate, threatened to involve state law enforcement officials in a postelection investigation, the League went to federal court to block him. “We did not win that federal lawsuit, but it was the ‘winningest loss’ our lawyer said they’d ever seen,” Brigham said. After Federal District Court Judge Mark Walker warned Scott to refrain from any effort to interfere with vote recounts in the tight Senate and gubernatorial races, Scott stopped interfering in the process. The League also strongly endorsed Amendment 4, which will restore the right to vote to an estimated 1.2 million convicted felons who have completed the terms of their sentences. “That’s a huge victory for democracy,” Brigham said. League members will be doing all they can to educate these voters, she added. They’ll also be monitoring the state legislature to make sure that the amendment is implemented “correctly” and in a timely fashion, she said. Under Brigham’s leadership, the Florida League also has spearheaded gun control efforts, helping create a coalition of more than 100 organizations to lobby for stricter gun control efforts in the sunshine state. Brigham’s efforts to bring together scores of other groups began in 2016, spurred by the mass shooting at the Pulse nightclub, which claimed 49 lives. The law raises the age for purchasing guns to 21, bans bumpstocks that permit guns to shoot faster, and increases the time for background checks for many types of gun purchases. One continuing point of contention, however, is the law’s permission for many school staff members to carry guns. The League now is suing Duval county, charging that its “school security assistants,” hired to police elementary schools, are not even subject to the vetting and training requirements required by the new Stoneman Douglas law. The League’s progressive views on everything from voting rights to addressing climate change and gun control have so angered some Republicans that they no longer respond to candidate questionnaires or participate in League debates. “We noticed that more this election year,” Brigham said, noting that only one Republican statewide candidate responded to its questionnaire this election. “That is concerning to us,” she said, adding that “it is not surprising,” given the increasing partisan divisions in the country. When federal judges ordered that a congressional district in Maryland created by Democrats be redrawn to more accurately represent state voters, Republican Governor Larry Hogan named a state League staffer to a small “emergency commission” to come up with new lines. The League’s independent approach likely will continue to irk both political parties during its next century of existence. Related front page panorama photo credit: Adapted by WhoWhatWhy from LWVC cheering (League of Women Voters of California LWVC). Saturday, May 4, 12:30 to 8:30 p.m.
State Convention is a wonderful time to come together in League, participate in dynamic workshops, share ideas and successes, plan for our League’s future, catch up with old friends and make new ones.